There's no replacement for face-to-face interaction. At Ward and Weston we're committed to taking the time to get to know you and your vision so that we can craft exactly what you're looking for. Every project we do begins with a no-obligations face-to-face meeting where you can tell us about what you're picturing and we can dream up how to make it into a reality. We'll talk and sketch together to get things rolling. You want to know what you're getting before you commit. 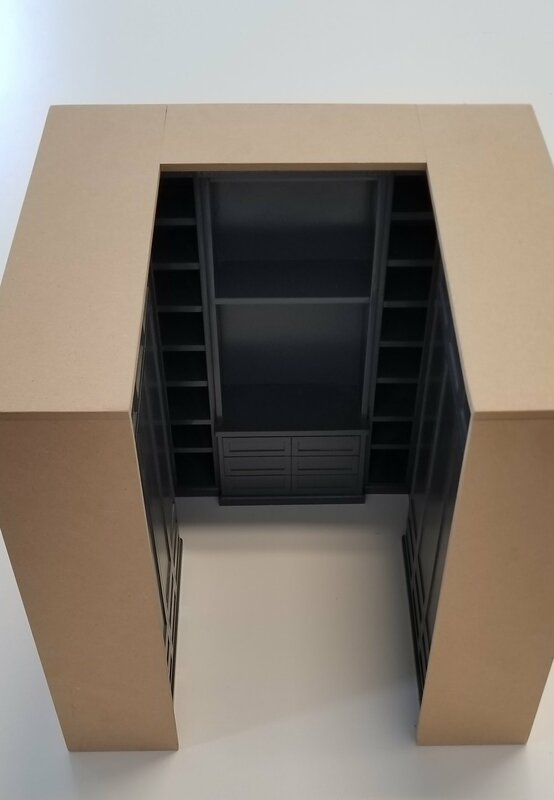 We believe digital simply can't convey the true look and feel of a piece of furniture or cabinetry, so we craft a scale model of the piece for every project so you can have a tangible experience of what the finished build will be like. There's no better way to know what you're getting. After we've reviewed the scale model and made any desired changes, it's time to build the real thing. We want you to be involved in every part of the process, and love to have our customers come to the shop to experience any part of the build process. Rather than buying wood in bulk, at Ward and Weston we buy the wood only what's needed for each project, carefully selecting the lumber whose color and grain will bring out the uniqueness of your piece. We're committed to craft of the highest quality. dreaming of custom furniture for your home or business?